Over the last several years, there has been a resurgent market for books that contain – gasp! – physical / mechanical elements. 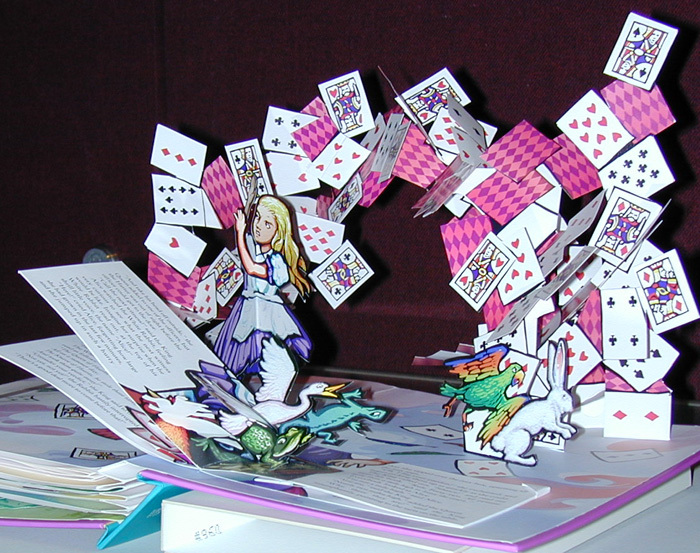 Members of this species includes pop up books, board books, movable books and works enhanced with additional “pull out” materials. The added enjoyment provided by these titles can be ascribed to our almost fetish-istic fascination with books as “must have, must hold” objects. The mechanical extensions provide a greater engagement of our visual and tactile senses to make the reading that much more enjoyable. They are even still appealing even for today’s technology saturated youth. 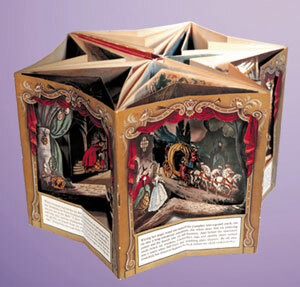 Most contemporary pop-up books are assembled by hand in Colombia, Ecuador, Mexico, or Singapore. After printing, the nesting pieces of a book are die-cut from the sheets and collated with their pages. Production lines are set up, with as many as 60 people involved in the handwork needed to complete one book. These people fold, insert paper tabs into slits, connect paper pivots, glue and tape. Alignment of tip-on pieces with the printed page must be exact and angles must be precise. The most complex books can require over 100 individual handwork procedures. You can certainly add China to that list now. But books with such enhancements aren’t just for kids. Becker & Mayer, a book producer based in the Seattle are have been created many such books for adults. Their latest is David McCollough’s 1776 Illustrated Edition. It contains maps and recreations of other documents that bring the text to life. So when you feel like a new read and want to surrender to your inner child, try something that goes pop! This entry was posted in open publishing, publishing technology and tagged Becker & Mayer, board books, movable books, pop up books. Bookmark the permalink.